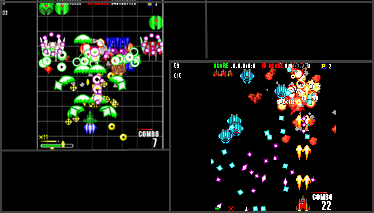 Crush Storm (1.23mb ver3.51 made 18/07/2007, no install .zip) is a good Japanese shoot-em up with the usual pickups, powerups and level bosses. Many options, modes of play and a choice of 3 ships with different firepower. If you like your SHMUP's,you should like this.